Neon’s A Doll A Migraine-less Day, More Or Less - 2019 edition! I always liked Abby, she had the cutest name, too. (04-17-2019, 07:10 AM)Lejays17 Wrote: Does she have tinsel in her hair, or is it the way the light is angled? She has transparent iridescent thinsel. It's pretty, but as with all tinsel, it doesn't age well. (04-17-2019, 08:42 AM)davidd Wrote: I wonder if the highlights in her hair were meant to suggest the Northern Lights? It is an intriguing effect, which your lighting emphasizes beautifully. Maybe... It's certainly nice idea so I'm making it part of canon! And thank you very much! (04-17-2019, 10:42 AM)Alliecat Wrote: Pretty. I like her hair too. (04-17-2019, 04:59 PM)Elfy Wrote: I always liked Abby, she had the cutest name, too. Anyhoo, I took today's pic there, it's the first outside pic this year, because the one of Skelita in the snow was taken on the outside ledge of my window, so it doesn't count. This is the non-filtered version, but now that I see it on monitor instead of the tiny screen, it's so blue, it looks like it was filtered, too! It was too green, so I tried to correct the colors, and it seems like I went overboard with blue, haha. The filtered version gives the feel of coming across an old photo plate, one that's image has survived so well. And it's just a lovely shot in general. I like how the landscape looks in scale with her. Your "first outdoor photo of the year" is spectacularly pretty! It presents an idealized vision of the outdoors... not too hot, not too cold, not too windy, without allergies or biting insects. Just... prettiness! Great to see you and your dolls getting out and about. (04-18-2019, 05:58 AM)werepuppy Wrote: The filtered version gives the feel of coming across an old photo plate, one that's image has survived so well. I hope you'll get to enjoy some spring soon! 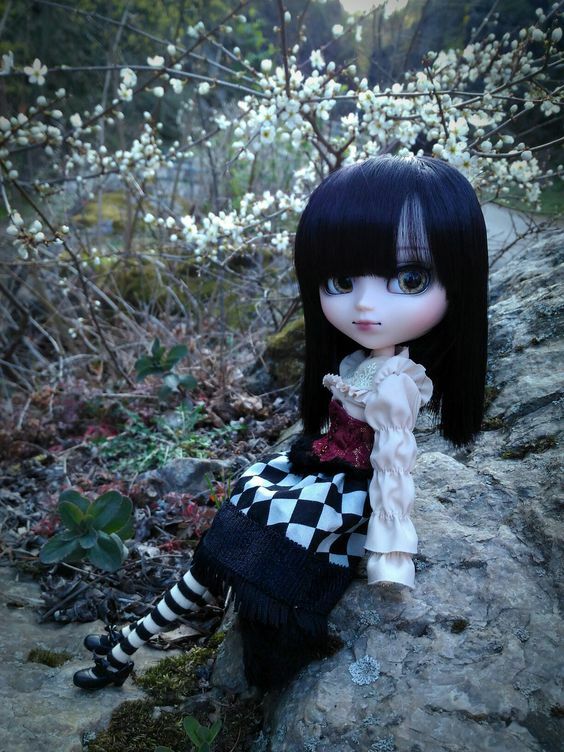 The best partt of a the landscape looking in scale with the doll is that it really is in scale with her. There are several spots like that in the gorge, with just the right portion of rock protruding from the ground, and this one had that lovely sapling of whatever tree or bush it might be, plus it's really accessible. Perfect for doll pics! (04-18-2019, 01:28 PM)davidd Wrote: Your "first outdoor photo of the year" is spectacularly pretty! It presents an idealized vision of the outdoors... not too hot, not too cold, not too windy, without allergies or biting insects. Just... prettiness! I had to endure some mild allergies and one or two biting insects, but the weather was absolutely perfect! 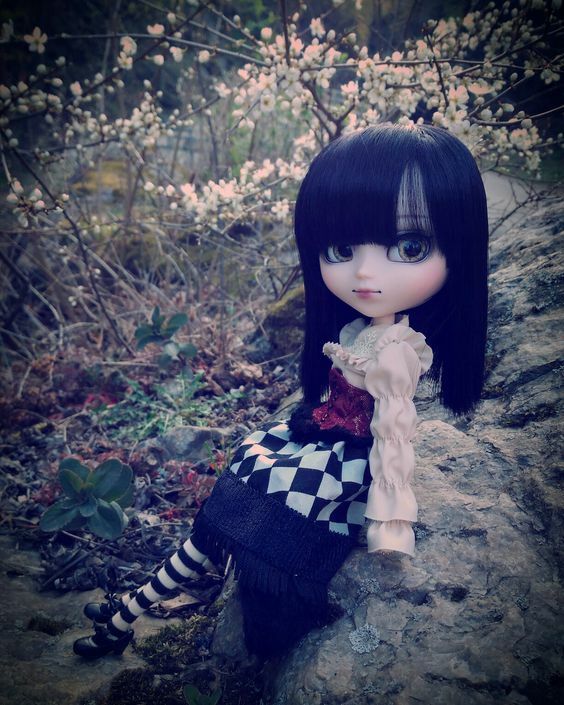 (04-18-2019, 03:41 PM)Elfy Wrote: Great to see you and your dolls getting out and about. Sometimes I wish I could be a mermaid ghost. Ghost mermaid. Either or. There's something very ethereal about her in that picture, I can't quite put my finger on what it is, but it shines through. Never seen her before, but she looks great. (Yesterday, 04:50 AM)werepuppy Wrote: There's something very ethereal about her in that picture, I can't quite put my finger on what it is, but it shines through. (Yesterday, 10:35 AM)Elfy Wrote: Never seen her before, but she looks great. Same here. I don't know who this is, and I have no words to describe what I'm seeing. This photo transcends reality. It is, as werepuppy says, ethereal.